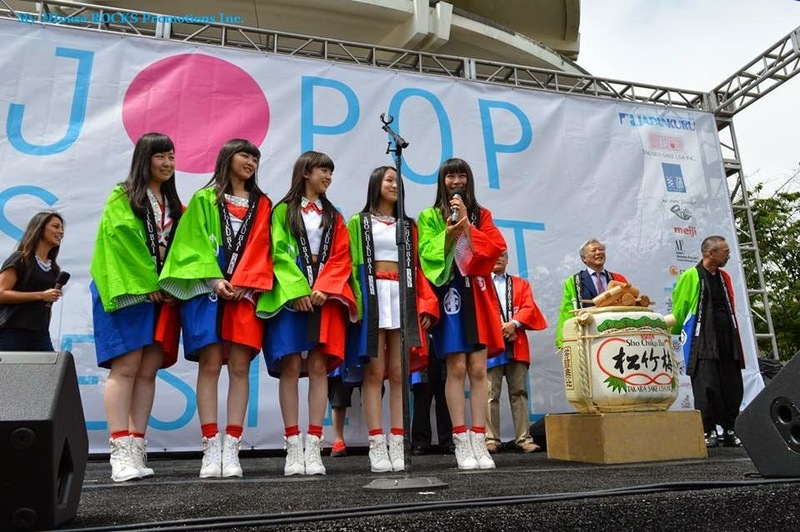 Opening ceremonies took place on July 19, 2014 at 11:00 a.m. at the Peace Plaza. 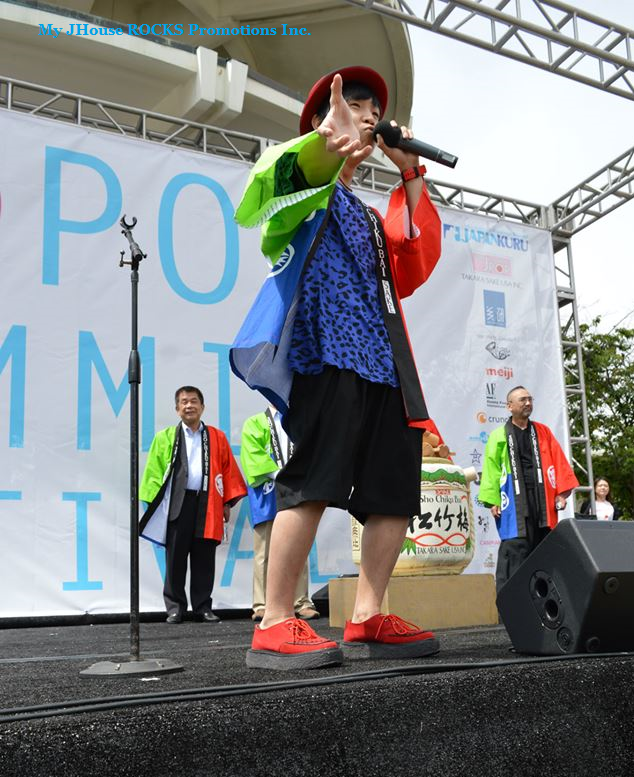 Olivia Speranza was the MC for the event, calling sponsors first, which included the Japanese Consul and the President of Takara Sake. 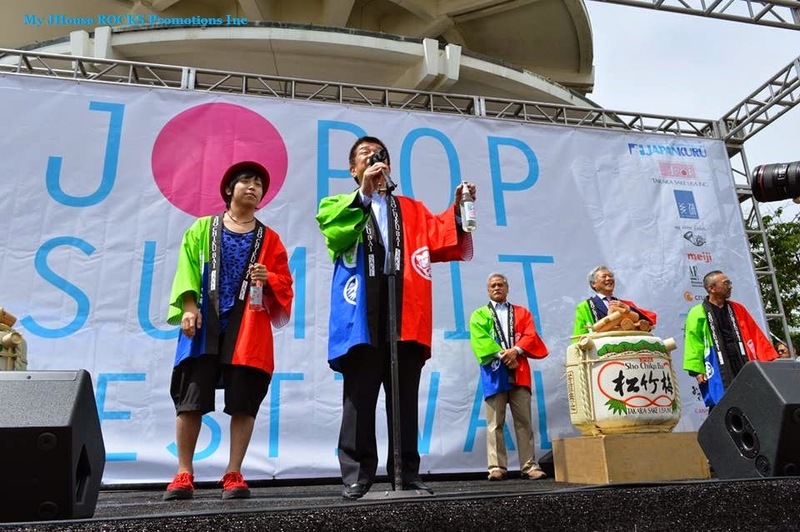 And, with Takara Sake came DAICHI as well.# DAICHI gave a little sample of his abilities, ending the performance with a high note from the sound of the trumpet. 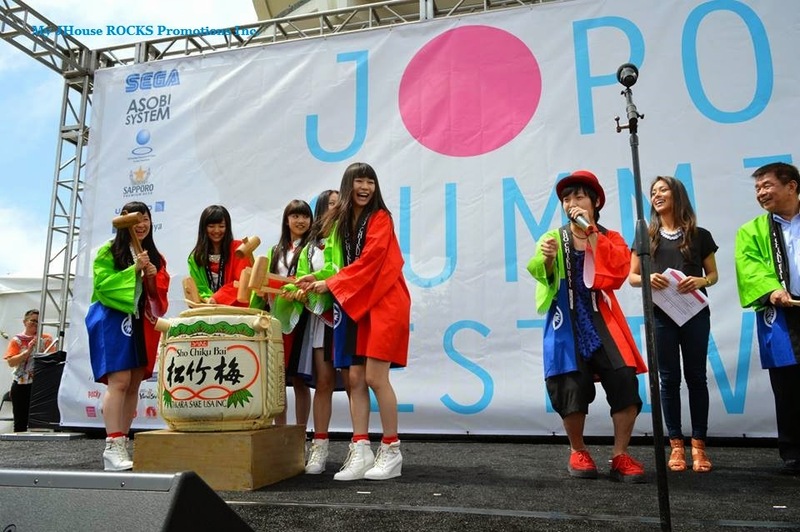 The audience cheered to the entrance of the much awaited special guest of the Festival, Tokyo Girls' Style. 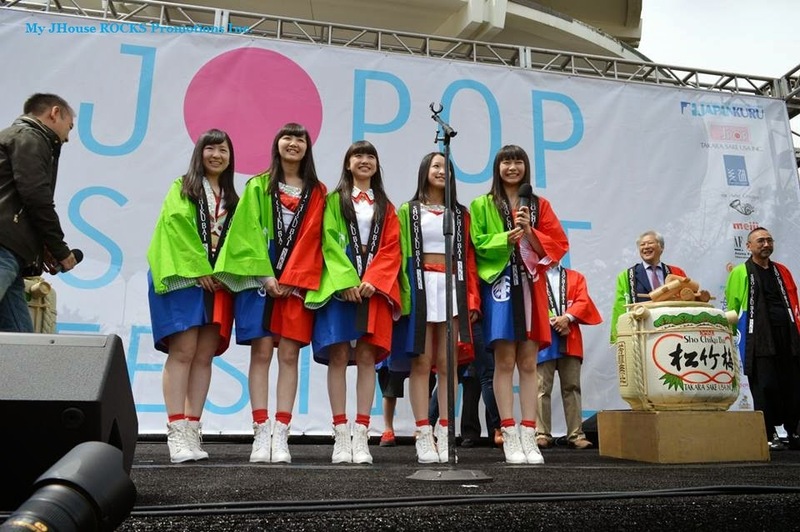 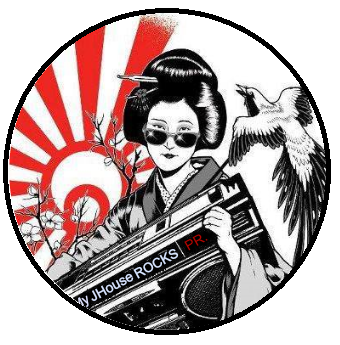 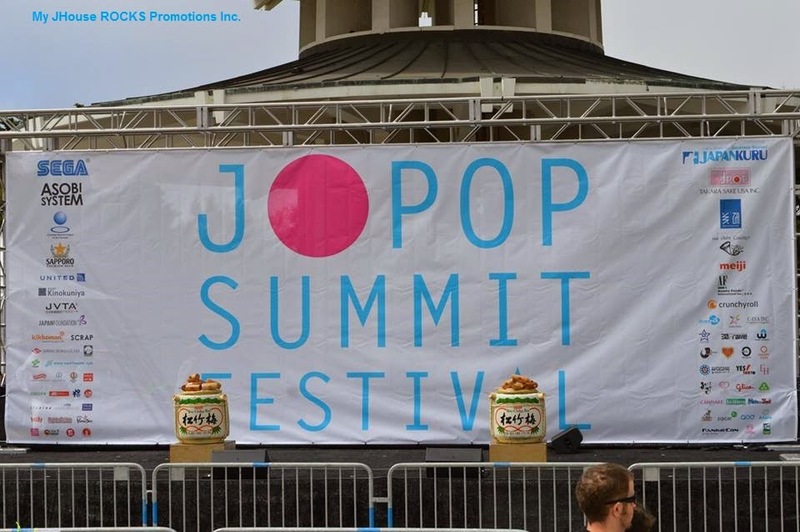 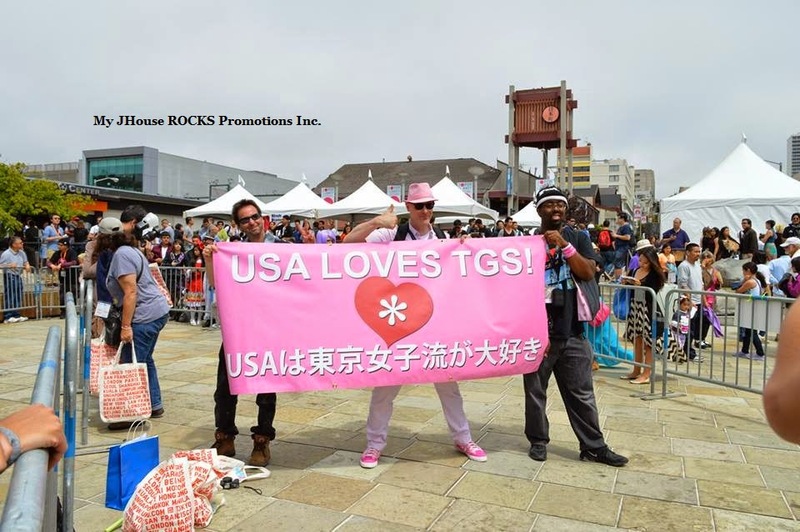 The breaking of the sake barrels marked the official start of J Pop Summit 2014, and after the guests and sponsors exited the stage, a few fans showed their love for Tokyo Girls' Style with a banner display that caught the attention of both press and crew. 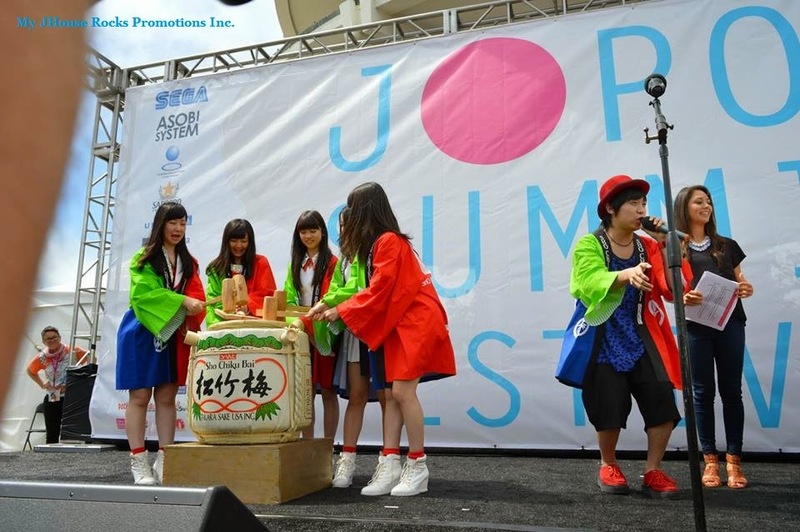 As a special treat, we were able to take a photo of DAICHI with Tokyo Girls' Style backstage.